It literally took about 10-15 minutes to make a bunch. The supplies are minimal too. All you need is cardstock, glue, cutter/scissors, googly eyes, and a printer. I printed out my saying, “Valentine, I’ve had my ___ on you!” on basic white paper. Afterwards, I cut it out and glued it to a rectangle of folded colored cardstock. The last step? Glue on that googly eye right where there’s a blank spot. The kids can write their “To” and “From” on the inside, plus any additional message they may have. 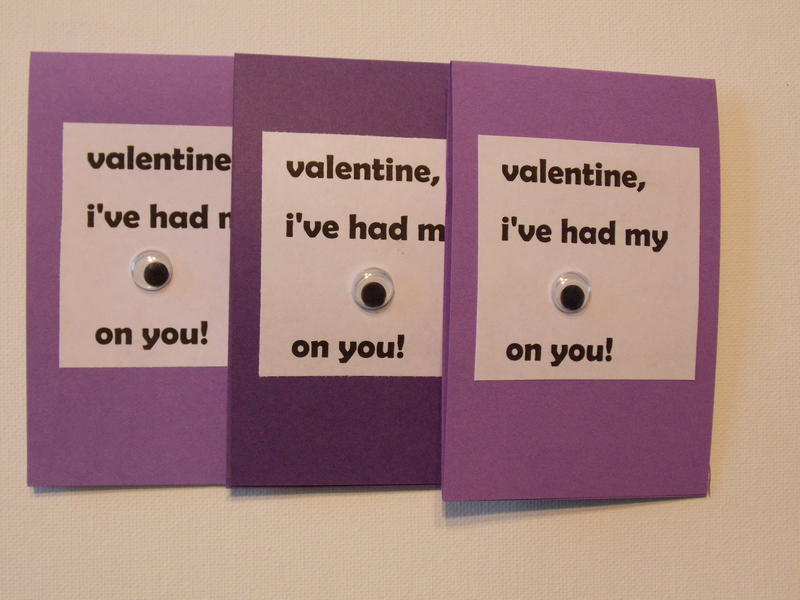 Hopefully other kids won’t think they are little stalkers with the “i’ve had my eye on you!” message on the front! LOL! This is very cute! I’ve pinned it to my Valentine board.